As a diversified land business, DUDA has a variety of agricultural operations, putting its land base to productive use. These land holding operations are managed by Duda Ranches, a division of DUDA. As stewards of the land using good agricultural management practices in its production operations, this business unit supplies DUDA with a diversified source of operating profits. Since the 1940s, with the purchase of the Cocoa Ranch in Brevard County, Florida, DUDA has been actively involved in the cattle business. Today, DUDA has a top-notch cow/calf operation with a breeding herd of approximately 6,000 head of Beef Master Angus-crossed cattle. From its pasture lands in central and south Florida, Duda Ranches sells its cattle to western feeding states, such as Texas, where they are released to graze on grass or wheat pastures and then sent to feed yards. DUDA has been farming sugarcane in south Florida since the early 1960s. In the mid 1990s, the company expanded its sugar operations to the state of Texas. 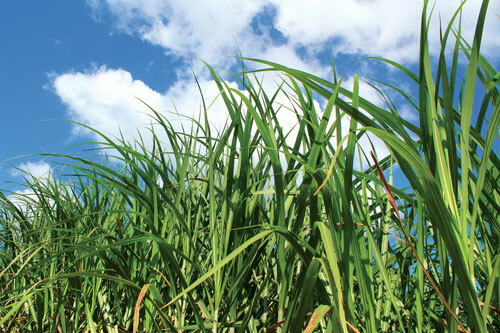 Each year, the company’s cane is harvested and sent to be processed into raw sugar and molasses. The raw sugar is further processed into refined sugar and sold domestically. The company’s citrus groves are located in Florida’s Gulf Coast growing region. The groves produce orange, tangerine and grapefruit varieties that are sold directly from the farm to entities that provide fruit for both the fresh and processed juice markets. DUDA’s sod operation got its start in Florida in 1973. The division produces and markets many varieties of sod from numerous locations in Florida as well as Georgia and Texas. Wholesale customers include landscapers, builders, installers, sod brokers and government agencies. For more information about DUDA Sod, visit www.duda-sod.com.